South Carolina Project WET is pleased to welcome 17 new facilitators to the network. 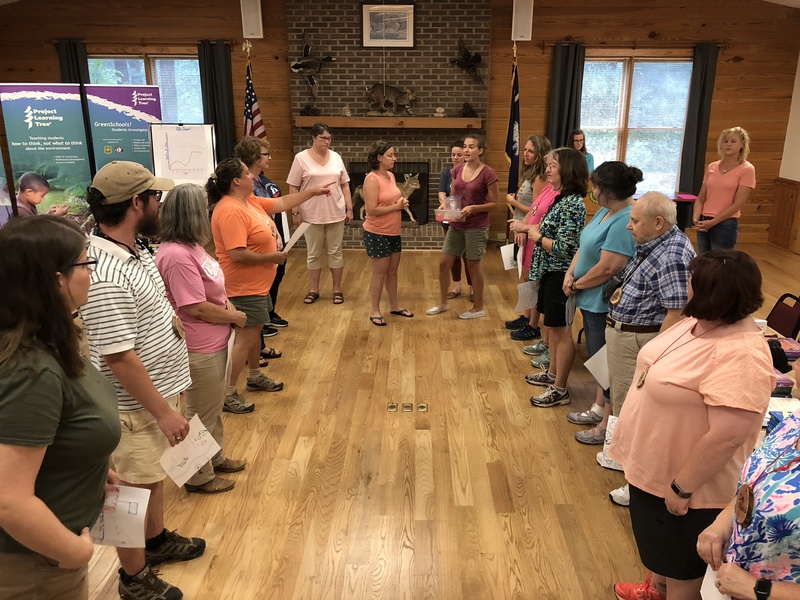 A triple facilitator workshop (Project WET, Project WILD, and Project Learning Tree) was held at Harbison State Forest in July 2018. Contact your State Coordinators if you would like to host an educator workshop! What is South Carolina Project WET? Each state has coordinators that provide local training and administration for the program. In South Carolina we provide training for formal and non-formal educators and facilitators through water education workshops, promote water education throughout the state, and provide materials and support to all those who participate.